Suva’s Goodwill Tour to South Whidbey! Suva’s heading South Aug 2,3,4, and 5th. She and her crew will be visiting and operating from the Port of South Whidbey Langley Harbor. Tickets are on sale now for this unique visit. There are also special ‘transit’ tickets to sail from Coupeville to Langley on Thursday, Aug. 2nd(Sold Out!) and back again to Coupeville on Sunday Aug. 5th. (Still Available!) (You’ll need to provide your own transportation back home.) 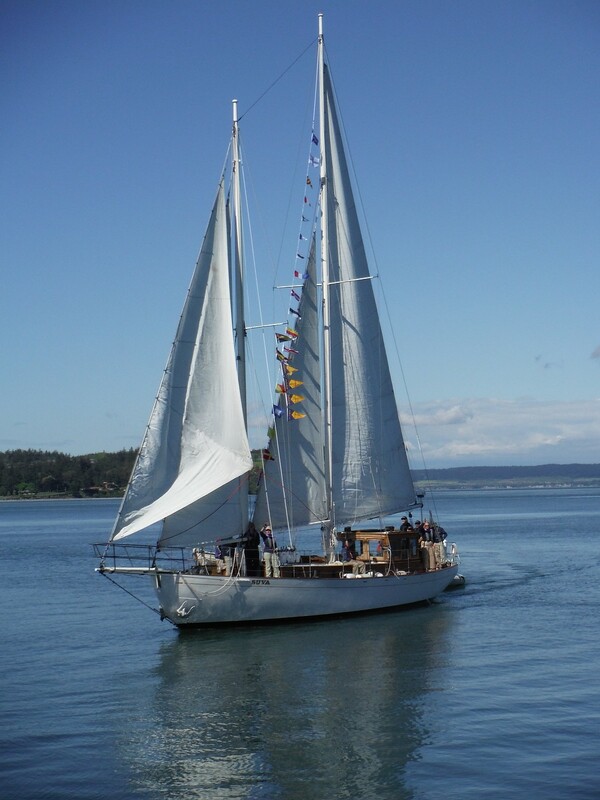 What a great way to see Whidbey Island’s beautiful coastline! CLICK HERE for more info and pricing for all the above sails. ← Be a Part of the Action… Sail on Suva During Race Week!